This PI was superseded to update Model Years and Recommendation/Instructions. Please discard PIP5197B. You may encounter a customer concern of excessive oil consumption, blue smoke from the exhaust, MIL or fuel trim codes. Excessive oil consumption, not due to leaks, is the use of 0.9 L (1 qt) or greater of engine oil within 3 200 kilometers (2,000 miles). Check the PCV orifice for leaking oil or drawing vacuum at idle thru its external port. (The PCV orifice is an integral part of the camshaft cover). (See picture below). If the PCV orifice external port is leaking oil or vacuum, replace the camshaft cover assembly. Clean oil from all induction system components and retest for oil consumption, leaks or DTCs resetting. Check for a missing intake manifold Non Return Valve that may have damaged the PCV orifice diaphragm. (See pictures below for inspection procedure). If the non return valve is not visible as shown in picture, then use a long cotton swab to wipe any excess oil from the valve to validate. 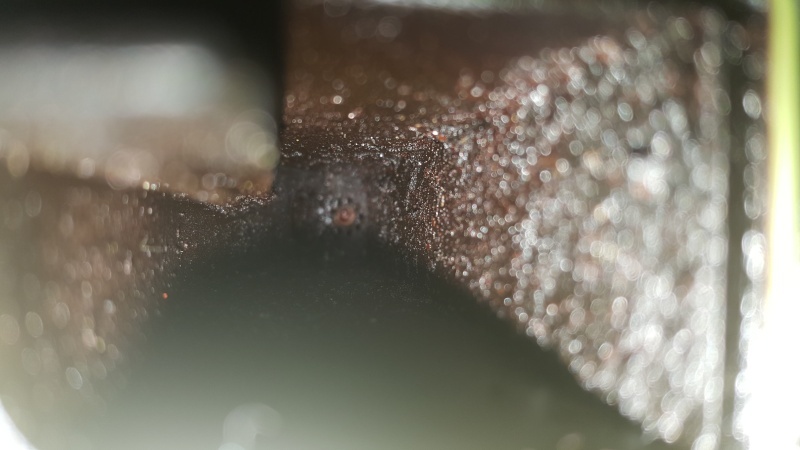 If the non return valve is still not visible, then intake manifold removal for inspection is required to validate. If the valve is present reinstall the intake manifold. Do not replace. 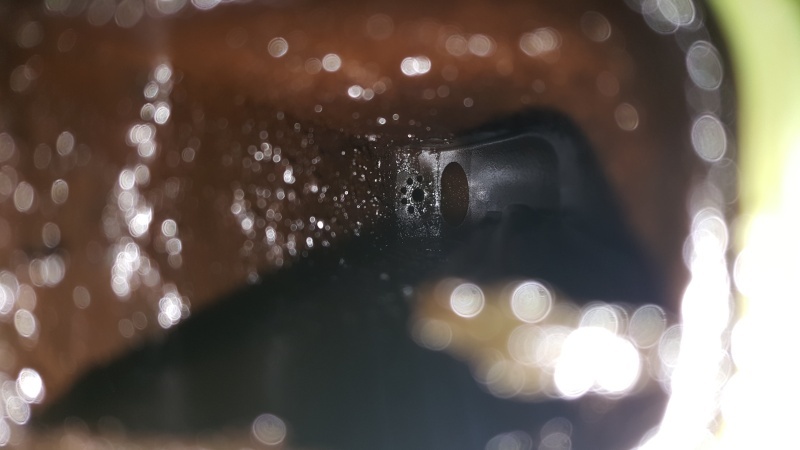 Properly seated Non Return Valve as viewed with the intake manifold removed. Inspect the spark plugs for signs of oil fouling. Engine cranking compression utilizing GDS2. Repair any issues with compression or leakage testing. Refer to the latest version of PI0552 to check the engine oil dipstick and oil fill cap for proper sealing. Refer to the latest version of PIP4925 to check for any air leaks to the intake system. Record the crankcase pressure. 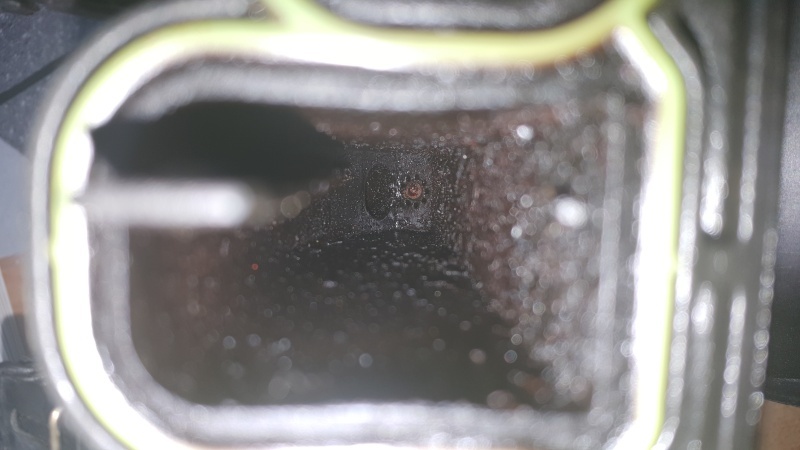 (Normal crankcase pressure readings are between -11 & -18 inches of water in park at hot idle) / (ESST gage works best, see pictures below for connection of ESST at the engine oil dipstick hole in the camshaft cover ). Note: The connection must be made with the engine off. The engine is then started and the pressure reading is recorded. If the crankcase pressure is in the proper range, clean oil from all induction system components and retest for oil consumption, leaks or DTCs resetting. If the crankcase pressure is excessively positive, above 0 inches of water (0 inches of HG / vacuum) then a cylinder leakage / crankcase pressure concern exists. If the crankcase pressure is excessively negative, below -30 inches of water (-2 inches of HG / vacuum) then excessive intake vacuum is being applied to the crankcase, requiring further PCV system testing. The correction for this concern may be one of several repairs described above. For vehicles repaired under warranty, please use the appropriate warranty labor operation based on the original cause in addition to well documented straight time. On va en avoir de l'ouvrage avec ces chars en plastique et composante intégrés ! pour ce partage Frank, on a tout pour réparer ce trouble. Effectivement les tsb devraient toujours faire parti de nos premières recherches. J'ai cherchais ce que tu voulais dire pas ça À force de le relire, j'ai compris que c'était un usagé. Je lisais Main comme principale. Plus un nettoyage d'intake PN206 et un additif d'essence 44K PN 208.